Pakistan has been placed on the grey list by the Financial Action Task Force for failing to curb anti-terror financing despite its diplomatic efforts to avert the decision, an official said on Thursday. The decision was taken on Wednesday at the global financial watchdog Financial Action Task Force's planery session in Paris where Finance Minister Shamshad Akhtar represented Pakistan, according to official sources. 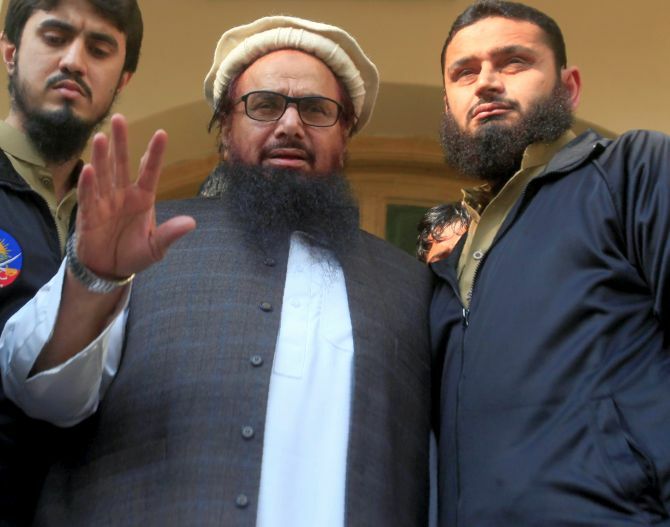 The annnoncement comes a day after Pakistan submitted a comprehensive 26-point action plan to the FATF to choke the funding of militants groups, including Mumbai attack mastermind Hafiz Saeed-led Jamaat-ud Dawa and its affiliates, to avoid being blacklisted by it. The placement on to grey list could hurt Pakistan's economy as well as its international standing. Earlier in the day, Akhtar had urged the FATF to remove Pakistan from its grey list. As the 37-nation FATF plenary began its proceedings on Pakistan's 26-point action plan spanning over a period of 15 months, the Pakistani delegation apprised the watchdog of steps Islamabad had taken to weed out money laundering and terror financing to avoid the country being placed on the grey list. Official sources in the foreign office said that being placed officially on the grey list was not a surprise for Pakistan. "It is political decision and nothing to do with the performance of Pakistan against terrorism," they said. They said that Pakistan will stay on the list for a year or so and will eventually be out of it as has happened in the past. The process began in February 2018 when FATF approved the nomination of Pakistan for monitoring under its International Cooperation Review Group commonly known as Grey List. Pakistan was asked to prepare a plan to address international body's concerns and get its approval or it could risk being moved to the black list. It presented a 26-point plan of action to the FATF planery with the commitment to implement it over a period of 15 months to address the concerns of the global community. The endorsement of the plan means that FATF formally placed Pakistan on the list. In case it had rejected the plan, Pakistan would have been on FATF's Public Statement, also called as the black list. On June 20, the Securities and Exchange Commission of Pakistan issued Anti Money Laundering and Countering Financing of Terrorism Regulations 2018, in compliance with FATF recommendations. On June 8, the National Security Committee (NSC) reaffirmed its commitment to cooperate with FATF. The FATF is an inter-governmental body established in 1989 to combat money laundering, terrorist financing and other related threats to the integrity of the international financial system. By January next year, Pakistan will publish updated lists of persons and entities proscribed under the Anti-Terrorism Act and the UN-designated entities.